This is a sponsored for DOLE Jarred Fruit. I have been craving fruit! Do you ever just have that crave and you simply must have it? Well today was one of those days. I wanted something light, refreshing and it had to taste like peaches. So I made for you a simple snack that only contains 3 ingredients and takes less than 5 minutes to make, it is my Peach Smoothie. Yummy! 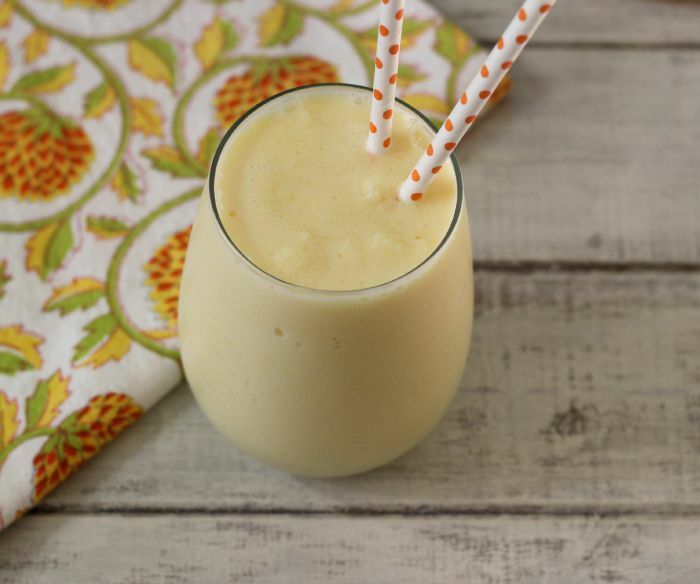 This smoothie, is so smooth and has the most amazing peach flavor. I guess that’s because I used DOLE Jarred Fruit that naturally fat-free and cholesterol free and always packed in 100% fruit juice. 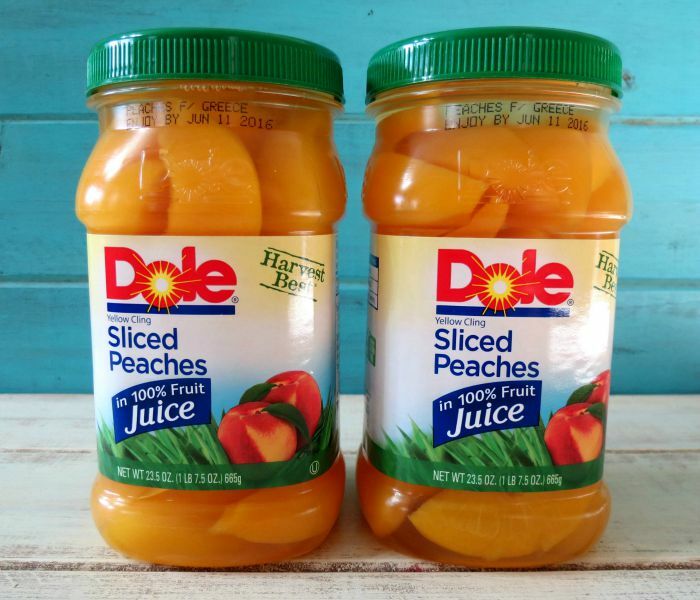 I love DOLE Jarred Fruit because it every jar has a convenient, resealable lid. Just scoop out what you need and then save the rest – you don’t have to worry about waste and you can easily save the leftover fruit for your next snack craving. I’m thinking of another smoothie tomorrow. 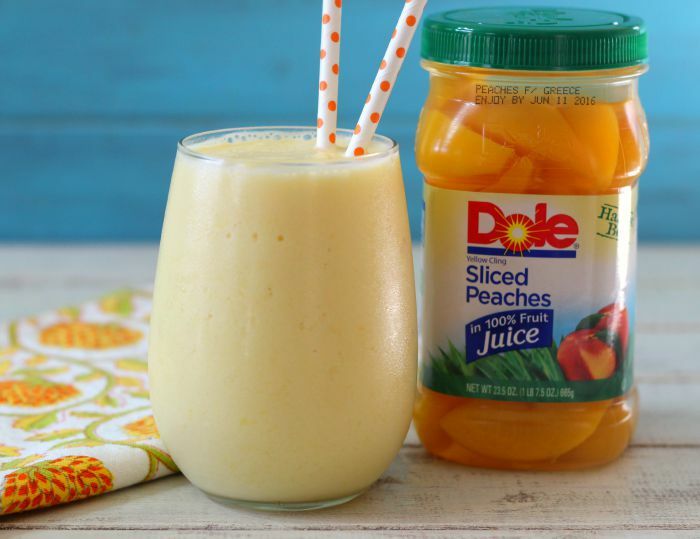 With DOLE Jarred Fruit there’s no cutting, peeling or mess. Just open the jar and taste the goodness of high quality, ready-to-eat fruit packed in 100% fruit juice. I just store my jar in the fridge and I’m ready to make another smoothie or simply take a fork and dig in. The fruit are so plump and juicy too! 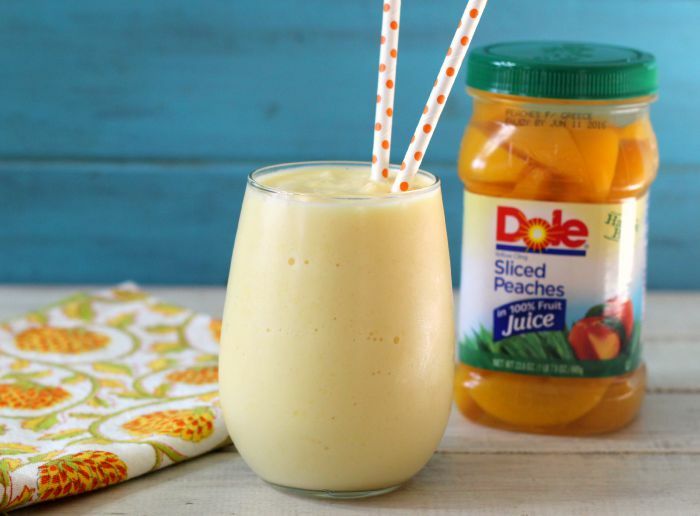 DOLE Jarred Fruit come in 5 flavors; Tropical Fruit, Sliced Peaches, Pineapple Chunks, Mandarin Oranges and Mixed Fruit. Next tot he peaches, the pineapple chunks are my favorite. 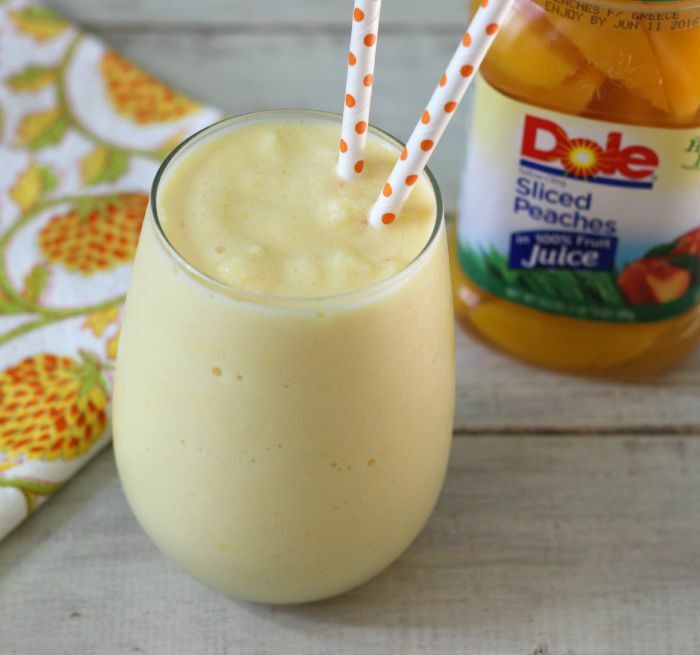 A light, refreshing smoothie made with vanilla greek yogurt and DOLE Jarred Fruit Sliced Peaches. Keep your kitchen stocked with DOLE Jarred Fruit so you can create quick and easy healthy snacks or top your favorite dish with a serving of fruit. 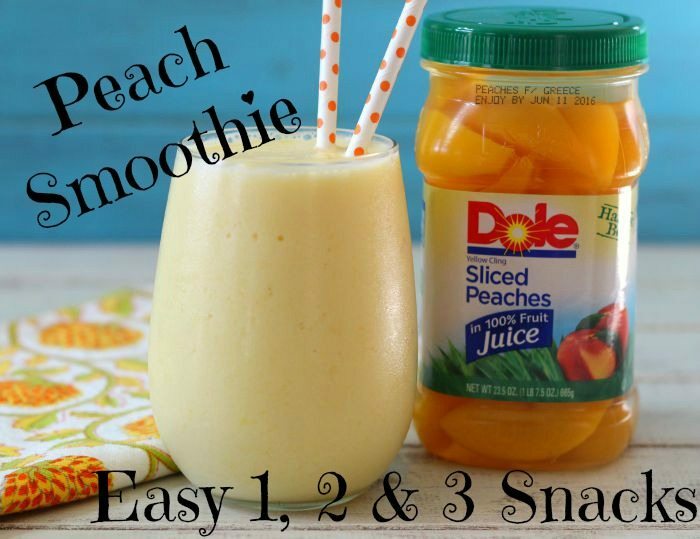 DOLE Jarred Fruit makes creating healthy snacks easy as 1-2-3. Each jar contains 5 full servings of fruit. 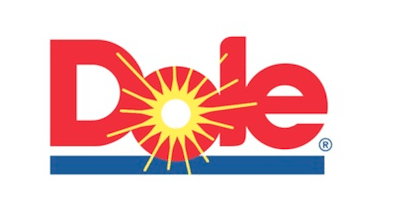 DOLE Jarred Fruit is available at your local grocery store in the canned fruit aisle. The suggested retail price is $2.99/per jar. For more great recipes; check out DOLE Packaged Food’s “Three-Step Snack Ideas” Pinterest board. For more information and recipe ideas visit dole.com/jarredfruit. I hope you love this smoothie as much as we do!